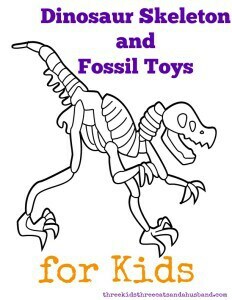 Dinosaur skeleton bones and fossil kits make a great educational toy for kids. Hands-on learners (like my middle child, who has always loved to touch everything) will especially love digging around making unique discoveries with them. They can be equally enjoyed for both girls and boys and are just right as a quiet, rainy-day activity. 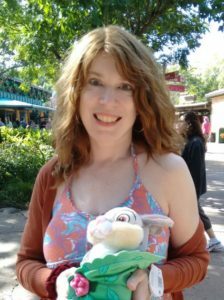 Another thing that’s great about these toys is that they can lead to a lifelong adult hobby. My husband still collects and studies dinosaur fossils and builds dinosaur models, either on his own or with one of our kids. With this kit, kids use a brush and chisel to dig dinosaur bones out of a block. It also includes a glow in the dark dinosaur skeleton, safety goggles, and an activity guide of dinosaur facts. The skeleton model can be glued together with superglue, but the final product would be a display, and not a toy that could be played with. This is a messy toy, so you might want to consider having your kids work on it outside where things (including the kids!) can be hosed down when you’re finished. Be aware that the bones in this kit are very fragile and that some reviewers commented that they actually broke. It sounds like this kit requires some careful precision and a little patience, so for that reason I would not recommend it for a four year old like the box suggests, but for kids who are slightly older. This kit contains one four-inch egg, an excavation tool, brush and instructions. There are six types of dinosaurs available — three herbivores and three carnivores — and it is marked on each box which one it is, so it isn’t a surprise. I don’t see an option on Amazon to select a specific dinosaur, so it looks like if you order through them, you just get what you get. Like the fossil kit above, this can be messy, and the dinosaur you end up with is very fragile and intended to be a display only. Because of the fragility and the patience involved to do this correctly, I wouldn’t personally recommend it for kids younger than about age seven. As the title suggests, this excavation kit comes with five different pieces and appears to offer a lot more “play value” for a bigger age range than the two toys above. The great thing about this kit is that there are a variety of things to choose from, so depending on your mood, location, and company at the moment, some activities might work better than others. This toy lets you dig for dinosaur fossils in your own little sandbox. The kit includes two dinosaur molds, two fossils, one digging tool, kinetic Sand, and a transformable sand box. 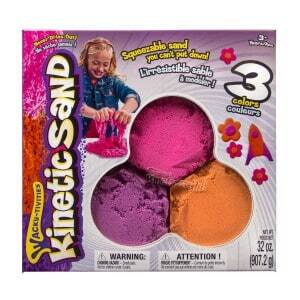 Kinetic sand is a combo of 98% sand and 2% polymers, and it is wheat, gluten and casein free. We have a couple kinetic sand kits at hour hosue, and it’s less messy than it sounds. There’s something very soothing about pressing the sand and letting it run through your fingers, so this makes a good quiet and calming activity. If you ever feel the need for more sand, or want a variety of colors, you can always purchase more separately. This is a set of small plastic dinosaur “bones” that are poured into a combination plaster/rock mix and allowed to harden. Kids use the included wooden hammer and chisel to slowly break apart the rock to reveal and release the bones. A set of goggles and some instructions are also included. Some reviewers commented that the included tools were “a joke,” so you might want to use your own hammer or screwdriver as well.